In less than 20 hours the polls open for the 2018 Idaho Primaries! The Idaho Primary is your opportunity to make the BIGGEST impact for gun rights of the entire election cycle. Simply put, the winners of the gubernatorial and legislative races will have a huge impact on gun rights for the next two years. That’s why I’m hoping you’ll take a few minutes to scan through our 2018 Idaho Second Amendment Alliance Pre-Primary Candidate Survey Results. More on that below. 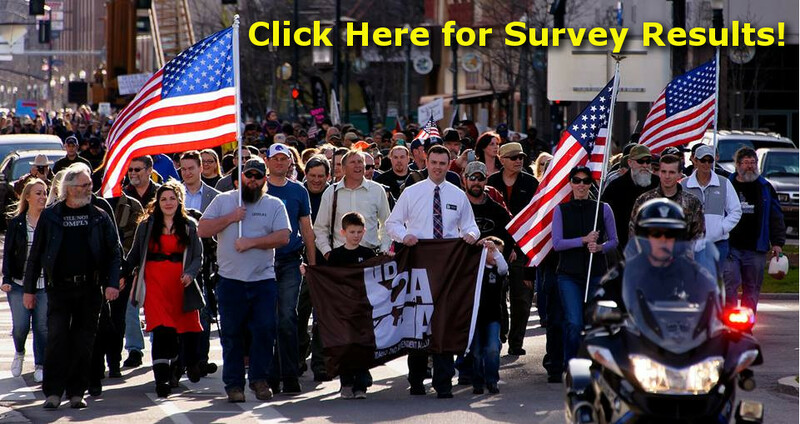 For the last several weeks, the Idaho Second Amendment Alliance has been surveying every candidate running in the 2018 Idaho Legislative Primaries. We surveyed all of the candidates for the Idaho House and Senate – in BOTH parties. As you’ll see when you click the link below, we asked them a series of eight questions on issues that matter the most to pro-gun voters. And we did that for a very specific reason. You see, every politician claims they “support the Second Amendment.” Heck, even Hillary Clinton and Barack Obama said as much. But what politicians say to get elected and how they vote after they get elected are two separate things entirely. So we asked them eight hard-hitting question — designed to be extremely difficult for politicians who just want to mouth pro-gun rhetoric — about very specific issues gun owners want addressed during their time in office. Armed with these survey results, gun owners like you can walk into the voting booth and make the biggest impact for your gun rights as possible! First, please look these survey results over closely so that you know where your candidates stand on your gun rights! Second, please share this email with your family, friends, coworkers and acquaintances. With lower turnout in the primary elections versus the general elections, a primary vote holds far greater power than during the general election when everybody votes. In other words, this is your chance to repay the politicians for everything they did to you during the legislative session! If they were pro-gun, this is your chance to let them know you appreciate it! On the contrary, if they opposed your gun rights or if they’re hiding their views by refusing to fill out the ISAA Candidate Survey, it’s your chance to pay them back! So please share this with every pro-gun friend that you have to maximize gun owners’ impact in the May 15th Primary. And whatever else you do, make sure you vote PRO-GUN on May 15th! Legislative Candidate Attacks the ISAA and Our Members! Gun Owners Toss Chairman Loertscher From Office!